Olorun se, mi o kuku lore (thank God I have no friends) my mother says as she stands by the entrance to my room. She is happy about this fact because she is not compelled to buy some extortionately expensive “aso ebi” for an event. Now, don’t interpret this statement to mean my mother is anti-social and does not have a single friend in this world, it is the opposite in fact. She is a remarkable and very friendly woman; however, she thinks having friends, female friends never bodes well for a woman – because (insert all Nigerian movies stereotypes and ideas about female friendships). My mother is a strong Nigerian woman that has accomplished a lot, despite the obstacles, and she doesn’t need friends. When my mother said this, I looked at her incredulously, because foremost in my mind is the idea that a person needs a village – a community outside of their immediate family, and I been working actively to build mine. This is not to say I don’t understand my mother’s concerns, nor consider them valid. I do; I have seen everything she has been through and I might say she is justified to feel that way. However, my life and the way it is unravelling informs me that she might be wrong also. I watched a video discussing black American women and their deemed superwoman strength today. The notion that black women are “strong, silent sufferers” – even in the face of physical, emotional, mental pain is not one that solely concerns Americans. Nigerian women can also relate to that narrative. As far as I can recall, every woman in my life has exhibited almost superhuman strength, so much so that I have never seen them falter. My mother has had to absorb one blow from life after the other; she is inexhaustible with seemingly unfathomable strength. In the course of facing domestic violence, she had to show up to work and other social commitments, with a smile on her face, and boundless energy. This isn’t limited to my mother but also countless Nigerian women who SHOW up regardless of their mental, emotional and physical wellbeing. It has always been expected of us. We have been reared by women who have told us to shoulder what life deals with us, buckle down slightly under the weight, adjust to the weight of even more suffering and trudge on; no one ever told us that is possible to shrug off the weight and live lighter. To do that is to be weak, and a good woman is not a weak woman. A good woman is relentless, she works tirelessly, and she is restless (without rest). She cannot take a day off to do absolutely nothing. By this definition, I am no longer a good woman. Halelluyah! A while ago, I was speaking to someone that meant a lot to me and I asked: “did you think your actions hurt me?” the response “no, you seem very strong, like someone that can take a lot of things, so I did not think I hurt you”. When I heard that, the first thing that popped into my head was Maya Angelou’s “did you want to see me broken, bowed head and lowered eyes…”, and in that vein I responded. I said “what did you expect me to do, walk around as if I have the weight of the world on my shoulder?” I got a non-committal sheepish smile and mumbled words as reply. In retrospect I think whilst I wasn’t expected to act like I had the weight of the world on my shoulder, I was expected to show more vulnerability. I was expected to express those emotions that make me human, things I had been taught either overtly or covertly to keep to myself and try to figure out by myself. When my friend and I sat down to discuss this, I explained to her that I did not think it was right for someone to be inconsiderate to me because “I seem strong and I can take it”; that to use my strength against me in this way was the worst thing a person could do to me. I was wrong; I confused self containment for strength. So, what did I mean by strength then? Is it my ability to suffer in silence? To cry bitterly in my bedroom, and come out to face the world with a smile plastered on my face? In moments of emotional turmoil, I jokingly say I am performing emotional surgery on myself whenever I go through the cycle of tears, and the subsequent self motivation that follows: I fall apart and I put myself together again. The joke is on me though; it takes a team to perform a successful surgery. So where does this leave us? “Strong”, alone and isolated with limited support system, near broken but still functional? I don’t believe as Nigerian women we are encouraged to take care of ourselves lovingly. When things happen to us, we rarely take time to absorb its full impact before we are up and moving again: we take a licking and keep on ticking. I have always considered this momentum to be the epitome of strength but now, I am not so sure. It is resilient, and resilience is necessary in life, where does this end? Do we wait like frogs put in a vat of boiling water who only attempt to escape at the last minute because they were adjusting their body temperature to the heat and didn’t realise they were endangered until the final moment? The problem is by the time the frogs decide to jump out of the vat of hot water, they are always too weak to do so, and they die. I believe salvation lies not only in redefining strength to include the courage to show oneself wholesome love including living our truth emotionally and in all aspects, but as it concerns Nigerian women, embracing sisterhood. No one knows what a Nigerian woman goes through like another Nigerian woman. It is possible to have a community of women who support you, want the best for you, will celebrate you and will not give a thought to harming you; women that will rise above their basest negative feelings. In the digital realm, this idea has become a reality through such groups as FIN. (Females In Nigeria). This is a closed group on Facebook, and a safe space for Nigerian women and we all come together to share our joys, triumphs, heart breaks; whatever it is we want to share, be it the simple joy of cooking a meal rightly, fixing one’s own tire, getting that job, building a house from nothing, any and everything. Some days, I am glad to read someone’s story even if it seems like my own world is perched precariously on a coin and on the verge of collapse. The group’s moderators work hard to ensure it is a safe and positive space for everyone. It takes a village. It takes a village of sisterhood to combat toxic singular strength. We can give ourselves the permission that we have been denied: the permission to embrace our vulnerability and not see it as weakness, to live our lives and not merely survive it; the permission to be plain, old, flawed ordinary women living our best lives and exploring that black girl magic. Related Topics:international women's dayInternational Women's Day 2018Nigerian WomenTemi A. Truly engaging read. I have often wondered why people think it’s okay not to have friends. Our requests and protests for solitude can lead to loneliness. Thank you. I think the same too sometimes. I understand why some people might seek it, but as humans we are such social creatures and we need a support system. I think it’s even more important for women because over the years female friendship have been so (for lack of a better word) demonized that we don’t immediately think sisterhood; this is aside from other social conditionings that has led us to negative and toxic ideas of what a strong or good woman should be. People do want to have friends but when the friendship rather that being a support system becomes vindictive, competitive and evil; people who seek to laugh at you rather than hold you up then people choose to stay alone. Cannot blame her mom , it is as a result of her life experiences. ooh I am a member of FIN. i love FIN!! Now back to the article. 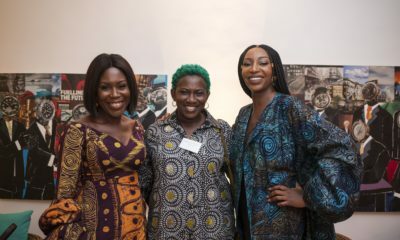 I agree; somehow nigerian women are always advised to be “strong” but strong is almost always in a negative way that does not support healthy emotional habits; we have been taught to almost surpress the joy of our emotions – i have no idea if this makes sense, but there is something i am tying to say i cant quite write out properly. An example, a guy i was talking to a while back said “i was stronger than him”- he meant this emotionally of course. now this guy would say things that were hurtful but say it is because he is more “emotional”, but me as i am stronger than him, i can take his own emotional abuse. loool. nobody taught me how to carry my leg and run from such a person. Like Temi, i am self contained, and i have been to such a degree that i have almost become emotionally unavailable, and like her- i am only just starting to realise that pattern and i am trying HARD to change it. strength doesn’t mean neglecting my emotional, mental wellbeing for others to thrive off it. its madness. I have also listened to my aunts and most nigerian women i know condemn close female friendships so much, but i am also starting to realise that they were wrong; i am actually in the process of building my own “village” too. I like that idea of inclusivity and sisterhood. ps: Temi. A one year later you grace us with another article eh? lool. Ha! Please go and sit down. Lool. When I asked you to read and comment I did not say you should come and be asking why I haven’t written anything in a year. Lol. I am a very silent member of FIN. I hardly use facebook so it makes it hard to keep.up. Am sorry but this is the only line of this article i LOVE “Olorun se, mi o kuku lore” i guess i haven’t learnt anything, what can i say my eyes don see thing s for this life. Feel free to share if you want to unburden yourself. I like to think you can do that in this space and everyone will be as supportive they can when they comment. As the product of a single parent, I can totally see my mother in that opening statement, and the struggle was real, oh boy, was it real. I’d like to think she’s created her own village. What I’m saying is this is an awesome piece. Thank you. I’m glad your mom was able to find people and a good support system. That’s what it’s all about, I think. 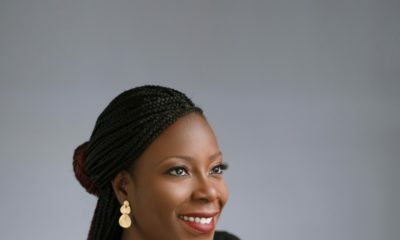 Great article Temi ,more illumination your brilliant mind.The resilience of the Nigerian women you talk about is commendable but also a ticking time bomb.One witness that on a daily basis in places like Agege ,Oshodi,Idumota,Mile2 and Mile12 amongst other places of business in Lagos.l guess in other part of Nigeria.These are bottom of the pyramid of Nigeria’s economy.They are off to their place of business as early as possible and don’t get home till very late at night.This grind takes a toll on their health.It is the cause of sudden death in many cases.They have no option because they are practically the head of the house hold.They pay the house rent and children school fees.They are the unsung heroes of our country.On this day of the international women’s day I doff my hat to this gallant women. Very engaging and stimulating read, this used to be me up until a year ago, going through a divorce the cycle of emotional abuse to divorce till I just completely shut down and then it dawn on me as lame as it sounds that at the end of the day, we all have just one life and its okay to live the life given to the fullest. I remember when I started my unfolding, saying NO was so exhilarating, without any form of guilt that was usually attached to it before. I have since realised that at the end of the day, it’s my life and my rules and its also okay to cry, seek help does not make me any less of a badass woman I am today, just means am strong enough to know and want better. How are you? This article was written because I wanted women to be able to comment as it related to them in a nice positive space. You are not embodying the spirit of my article Johnny boy, and I am not pleased. Now, take three deep breathes and stroll away peacefully. Being strong and resilient is not the same as subjecting yourself to be battered emotionally/physically. Real strength is recognizing and limiting abuse effectively.. part of that strength is also being a good friend and surrounding yourself with good/real friends. Real strength is knowing your weakness, accepting and managing it effectively. you can when you can do with “sisters” and possibly have some fun, laughs and beautiful moments? The super/strong woman tag in the Nigerian context is often used to describe overburdened females who are expected to do it all, just because they are women and somehow God has deposited some supernatural strength in them to work from dawn to dusk, never complaining and never tired. Personally, I don’t need a lot of friends, I just need a few true ones in my corner. This is a very delightful read, I enjoyed every word and paragraph, it flowed so seamlessly. I was going to type a long comment but born boy won’t gree me. In my almost 30 years of life, I have come to realize that for your emotional stability, you don’t need a truckload of friends, you don’t seek to be friends with everyone, you must choose wisely, end any friendship that breeds toxicity before it ends you and be good to all people. When you’re in need, because you are good to people, the universe works in such a way that help will come from unexpected quarters. It’s a new day, it’s a new dawn. The march encouraging black girl magic seems to take a new form everyday and it amazes me everyday. This piece is amazing because it’s like people only remember to praise and encourage black women when they succeed in portraying their perfect lives. We are told to hide behind a facade of happiness just so people don’t know what we’re truly feeling or how certain things affect us. We’re expected to be islands with no connections, but then this is mended with the constant reminder to always be respectful and “nice” so we are seen as self sufficient and independent instead of women who struggle with the ability to ask for help. Well, we shouldn’t be quiet. It’s okay to say no, it’s okay to ask for help, it’s okay to trust the people you love and it’s okay to be scared. And I’ve learnt this from the strong women in my life, we all need some in our lives. It’s nice to see the push for black girl magic is still on. I guess you’re right, we need human contact to survive. We need good and healthy relationships with people so our emotional and social life doesn’t struggle so much. But what happens when that’s all you know and believe to be true? I grew up believing any form of assistance from anybody will make you look needy or asking for help is discomforting to the other person. You’re not allowed a day off work or school if you’re emotionally down. You’re told to shake it off and keep moving, when what is really meant is to bottle it up and tread on. We aren’t allowed storage capacity for our emotions, so I guess we’re kind of the iPhones that’ll never exist. But I see strength in hiding your emotions. Caring for someone so much you’ll rather keep it than share it, the only problem with this is knowing how to let out these feelings out. Because as much as hiding them goes, they shouldn’t be buried and forgotten. This is an important discussion for people who sincerely need social and emotional support systems but out of pretense or circumstance bend themselves to be what they are not. We also need to take into cognizance people that are naturally private. There are people like myself who are self sufficient and will not rely on human beings for emotional support. Of course you can’t do everything on your own and there are genuine situations that require people to be sentimental, like death, but outside of these situations my type is not looking for a shoulder to cry on or someone to open up to, we are proactive in seeking for action and solution to the problem, and the avenues to such is to seek expert and professional advice and pray to my God. For some reason, I always get some clarity when I’m about to wake up in the morning. There’s always a plan A, B…Z. I store information like this in my head or on file: https://www.bellanaija.com/2018/03/7-organisations-nigeria-empowering-women-girls-future/ . You don’t know when you need them. It is very important to live your truth and not bend yourself because society expects certain traits from you. That is where the strength lies. Only your truth will work for you and make you live a rewarding life. Nevertheless for those that need social and emotional support in friendships, one must apply tact. Test the spirits of those you relay information to. Quality sisterhood must always triumph over quantity. @ the real Dee….spoken like a mature woman. I agree with you 100%. Let God be your best friend, unburden your worries to Him, find the best way that works for you, journaling or praying. Most importantly, be good to all and sow good seeds. What goes around comes around…in your time of need, the right people will be in your life at the right time to give the right support.